Find a way to bring the legendary continent of Atlantis back to the surface and restore it to its might. 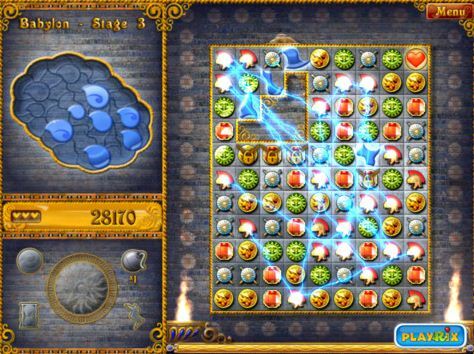 In this extraordinary puzzle game with spectacular new features, handy bonuses and explosive power-ups you set out on an adventurous quest around the ancient lands of Greece, Troy, Phoenicia, Babylon, Egypt, Carthage and Rome to gather the seven greatest powers of the patron god of the Atlanteans – Poseidon. With 77 captivating levels of fantastic game play, truly unique twists never seen before and the ability of continuous replay this game will keep you entertained for weeks!